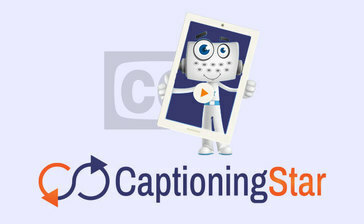 "I had a problem and CaptioningStar helped me solve it"
The CaptioningStar staff is extremely professional, calm and courteous. The day of the event everything worked the way they said it would. I highly recommend working with CaptioningStar. You will be extremely satisfied and glad you did. I will use them again in the future. I didn't dislike anything about working with this business. I highly recommend CaptioningStar for your remote live captioning needs. Keep track of your orders and receive delivery updates. * We monitor all CaptioningStar reviews to prevent fraudulent reviews and keep review quality high. We do not post reviews by company employees or direct competitors. Validated reviews require the user to submit a screenshot of the product containing their user ID, in order to verify a user is an actual user of the product. Hi there! Are you looking to implement a solution like CaptioningStar?